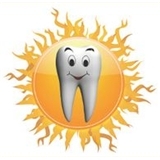 Sunshine Creative Smiles (Tampa) - Book Appointment Online! Welcome to Sunshine Creative Smiles by Dr. Anala Panchumarti! Here the dentist and caring staff believe in creating beautiful smiles for all our patients. We do so by providing the best quality care possible in a warm friendly atmosphere with commitment to our patient's dental health. Doctor, office and hygienist are very good and helpful.patient to answer our questions.